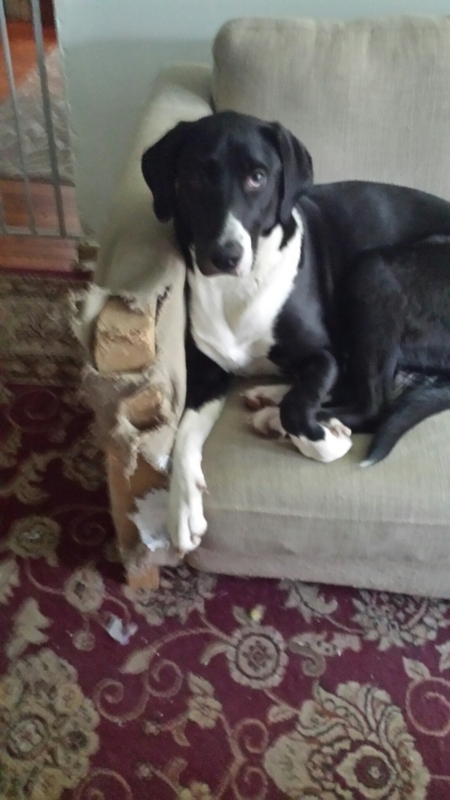 Cats, with their pointy claws, can start the important work of turning your living room couch into an artful, postmodern, deconstructionist statement piece, but it takes a dog to finish the job. Thank you! We were truly pleased with our creation. Sadly, our Humans don’t seem to “get” it. Oh. My. I’ve had a few pieces of furniture destroyed by cats but nothing like this. I’ve also figured out ways to repair some cat-damaged damaged upholstery (email me). I’m afraid this sofa is beyond my do-it-yourself repair efforts, though. I loved our dog, but it had to stay in the outside pen when we were not home after a few expensive episodes of destruction. I’m sure Cosmo would approve. cosmo; thiz peece oh art iz werthee oh de Louvre !! it haz flair, a 3D look two it…. and….. it suggests a style unlike other sofa armz we haz seen ina loooooong time 🙂 awesum job !! Thanks Tabbies!!! I think so, too. Pity the Humans don’t seem to appreciate it… I mean, it’s like they can watch TV while sitting on the Mona Lisa!